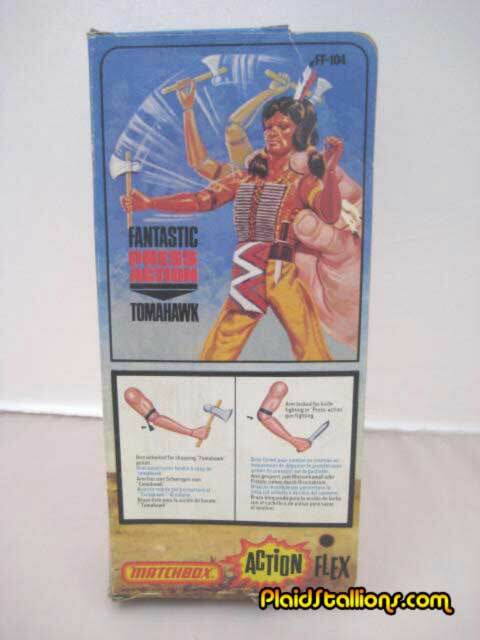 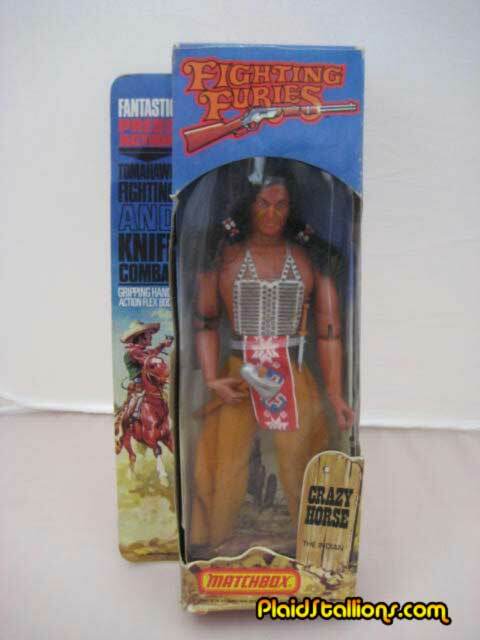 Crazy Horse was the only figure in the line that was based on a historical character. 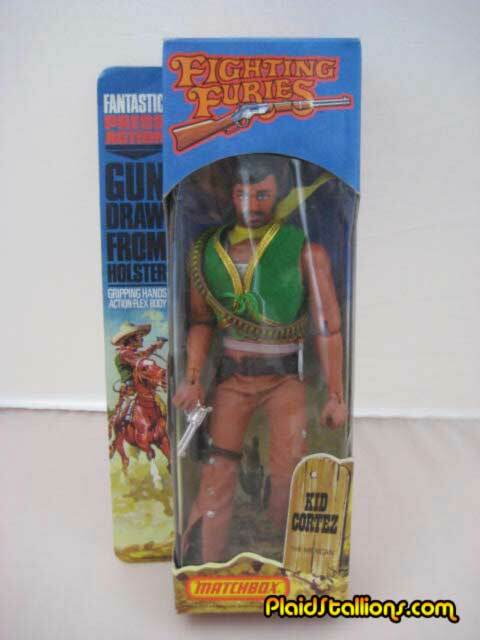 The action was now played up to suit the Western characters. 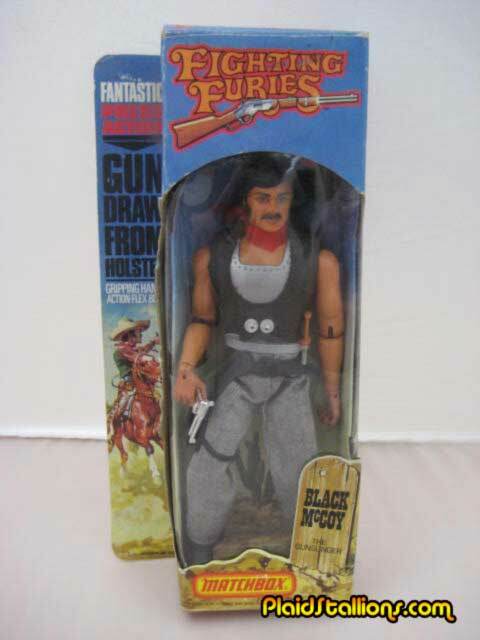 Black McCoy, our Cowboy character, kind of looks like a bad guy. 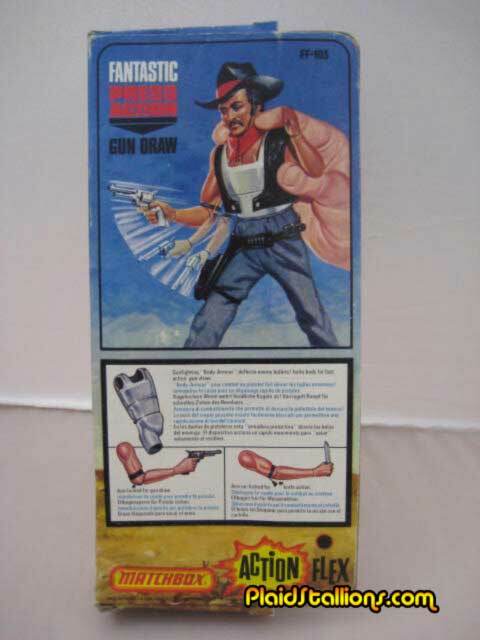 Note he has Quick Draw action. 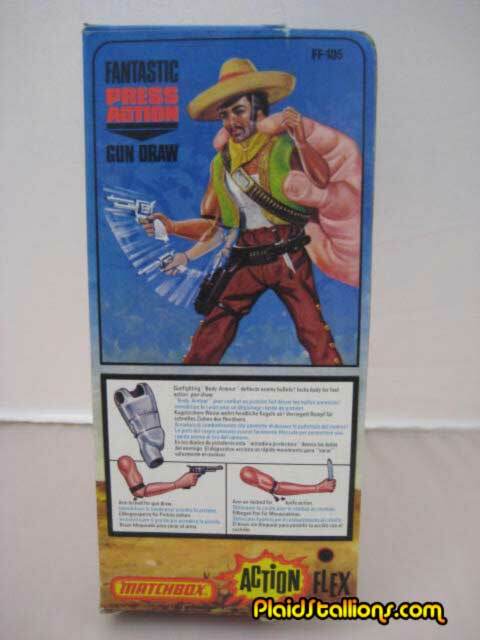 Kid Cortez looks like a Mexican outlaw, love the five o'clock shadow. 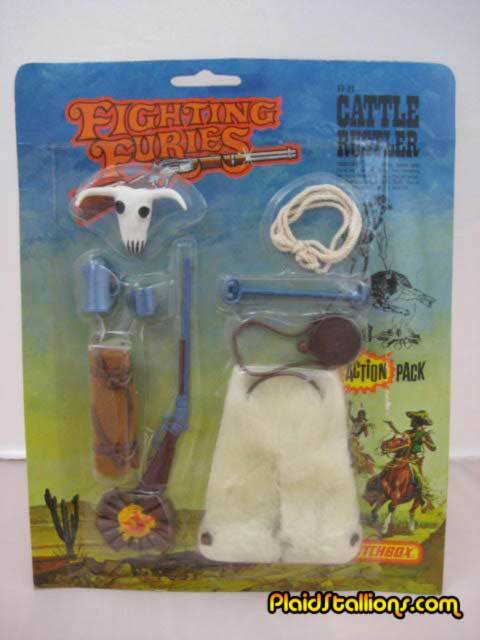 These figures are very hard to find, horses apparently exist but I've yet to see them. 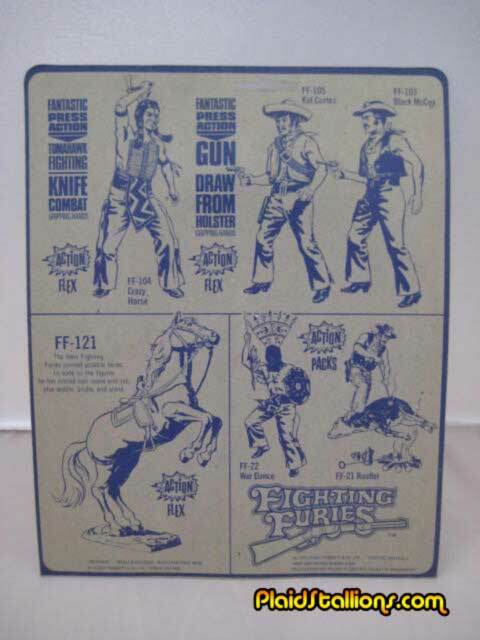 The back of the card advertises a horse and a War Dance set.